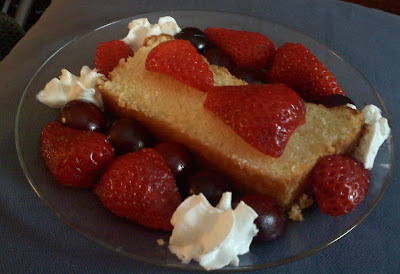 Last Sunday we made one of my favorite summer desserts: Lemon Pound Cake with Berries and Whipped Cream. The recipe is from the September 2004 issue of Bon Appetit. Even though it is one of my favorite summer desserts, it's been quite a while since we last made it. 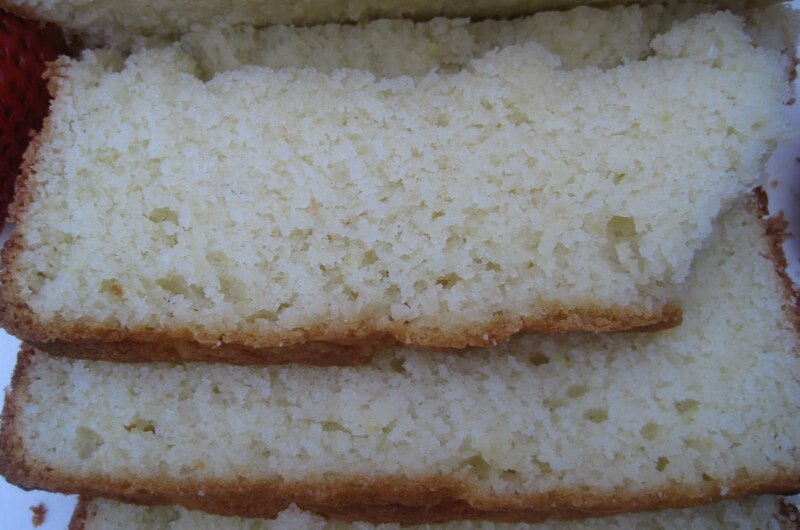 It's moist and lemony and just delicious! The recipe makes 2 loaves. We wrapped one and put it in the freezer. 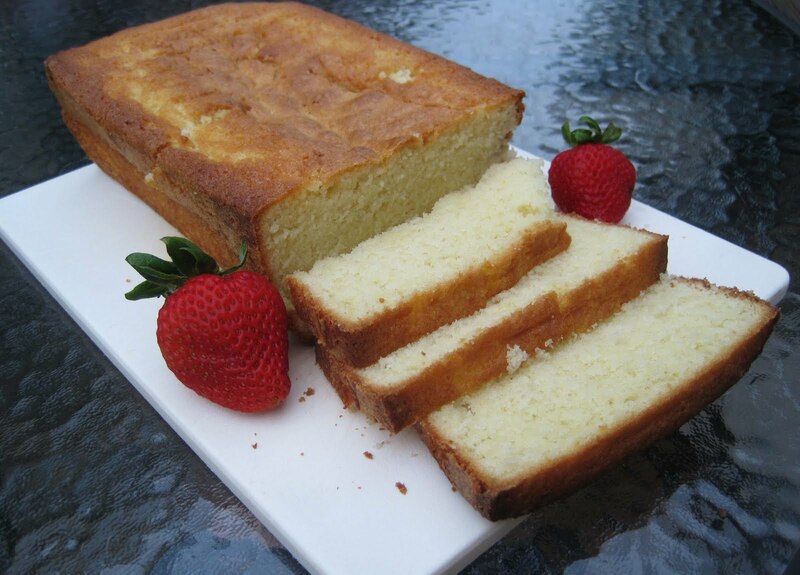 Sometimes I eat it for breakfast, usually plain, but for dessert in the evenings we add whipped cream and fruit. This time, we have cherries and strawberries, but blueberries and raspberries and blackberries are good with this cake, too. Last night I washed and pitted & sliced some cherries & strawberries. SP put together the dessert plates. He likes to make 'artful' designs with food sometimes. I cracked up when I saw the symmetrical design, the four corners of whipped cream, the 5 cherry halves on each side, and the strawberries. Not a very good photo of his food art, but the plate was on a pillow in my lap and I took the photo with my cell phone in a living room lit by 2 lamps (it was 9 pm so no natural light).